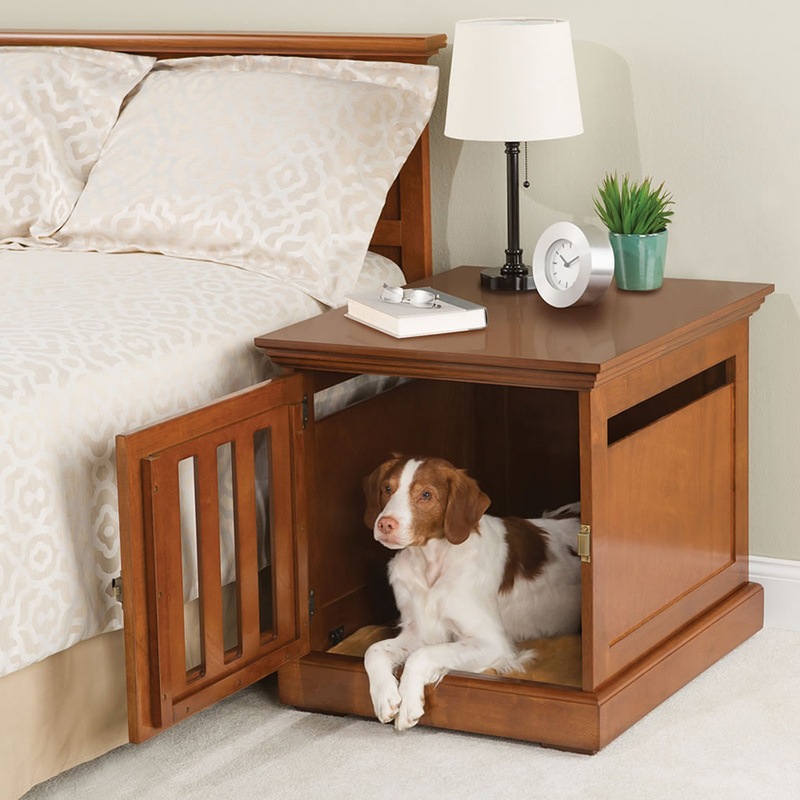 What could be so quaint as to combine a piece of bedroom furniture with a fantastic sleeping for your family pet? 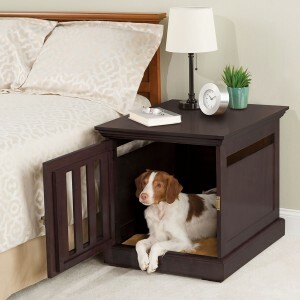 This nightstand dog house is the perfect way to have an elegant nightstand that doubles as a bed for your beloved dog or even cat. The item has a slatted door panel and narrow openings on both sides to provide good ventilation. It is made from mahogany, reinforced with MDF and finished with a non-toxic stain. The lovely nightstand-dog house is available in two different colors to match in with your existing bedroom furniture.